There are literally 1000’s of places worth seeing on this planet in a life time, and just as many things to experience. Since our days in this world are numbered, it’s a good idea to start traveling!! If you want to dive into ancient history in England, Stonehenge is certainly a place to start. 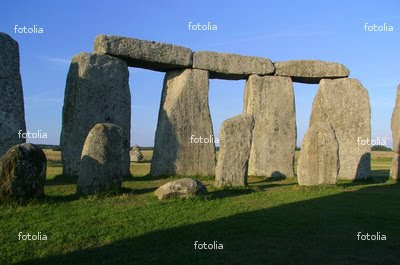 I think it can be argued that it is Europe\'s most famous prehistoric monument. You\'ve seen the pictures... of a "mysterious" circle of upright stones in Southern England on the Salisbury Plain... pictures of modern day Druids holding ceremonies as the sun come up during the Summer Solstice. Maybe you\'ve read accounts of Merlin moving the stones by magic. Whether it\'s fact or fiction you\'ve been reading... doesn\'t it make you want to go? Most authorities say that it was built in stages starting from about 3000 BC. Research into and about the monument and the surrounding area is ongoing. New discoveries, details, and theories are turning up all the time. Maybe it\'s because people think it is or was a place of religious or spiritual significance that draws so many of them as visitors. I think the fact that we know so little about such a great site is part of its allure. Whatever draws you to this amazing stone circle, make the effort to see it. You can make this a day trip out of London if your time is short. The best way to do this is probably to book a one day tour. You can also take the train to Salisbury which is the closest town to the Monument. (It\'s about 80 minutes from London to Salisbury. Trains leave from London\'s Waterloo Station.) In Salisbury, catch the Stonehenge Tour Bus which goes about every 30 minutes from the Salisbury train station and bus station. The bus will take you to the entrance of Stonehenge. It returns to the Train Station with a stop at Old Sarum which is an Iron Age Hill Fort... and was the site of Old Salisbury. We\'ve always rented a car to get to there. It is about 90 miles (145 km) from London; 2 miles west of Amesbury on the junction of two highways, A303 and A344/A360. The circle stands on its own in the middle of open countryside.... you can\'t miss it. There is an entrance fee. (Check into a British Heritage Pass for entrance to this and several other monuments. If you\'re planning to visit several of them, it could be worth it.) Audio tours in a choice of nine languages are included with your entrance fee. Only a chain link fence separates the road from the standing stones. You can even stick your camera through the fence and take a picture and be done... but why would you want to do that? Go in and spend a little time with the stones. You are not allowed within the circle unless you apply for a special access pass. Check with English Heritage for more details. Take something warm with you; the stones stand on an open plain, and it can get windy and cold. 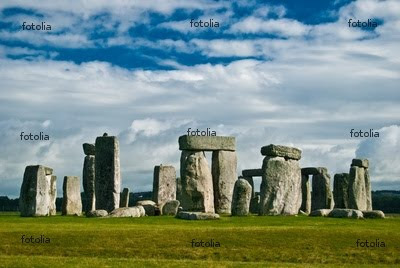 Stonehenge is not an isolated piece of prehistory. There are many Neolithic burial mounds in the area, the most famous is the West Kennet Long Barrow. Avebury is a larger, some say older, stone circle about 20 miles (32 km) north of Stonehenge. Silbury Hill, another Neolithic site nearby, is the tallest prehistoric man-made mound in Europe. The ruins of Old Sarum are worth a visit and moving forward in history, so is the town of Salisbury.